True Cubes offers a simple solution to the age-old issue of foggy ice. By mimicking the freezing process found in nature, True Cubes makes it as easy as turning on the tap to make clear ice cubes. No special gadgets, tools, or additives are required. Click a cube above to compare! Freezing normal tap water into a crystal clear ice has stumped cocktail connoisseurs for years — until now. True Cubes finally makes it possible to produce perfectly clear ice from normal tap water at home. True Cubes utilizes a patent pending design to mimic how nature freezes water — crystal clear. 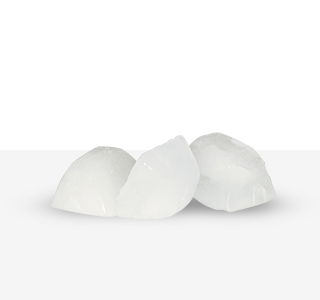 With a reusable four cube tray, True Cubes provides professional-quality clear ice right at home, using any freezer. True Cubes offers a simple and intuitive user experience without any extra gadgets. True Cubes’ smart design makes it a classic bar accessory for years to come.